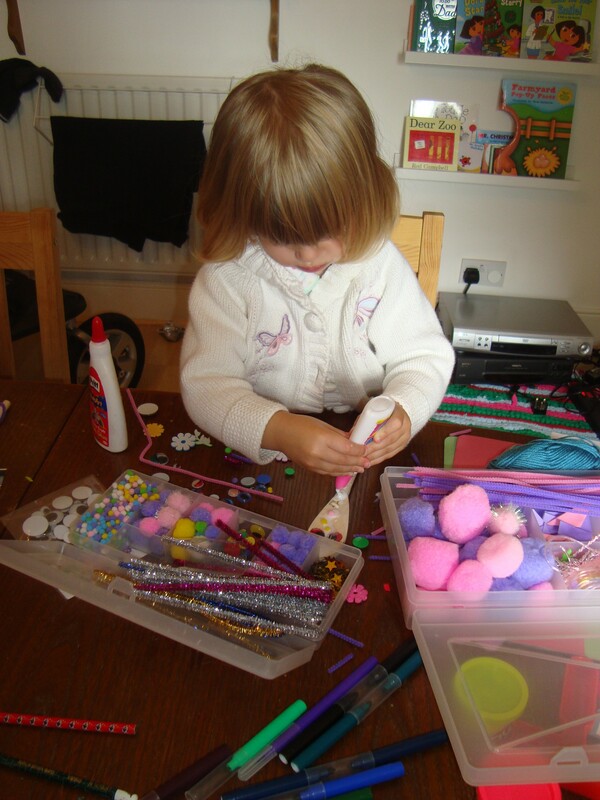 Once Faith latches onto a craft activity that she enjoys we have to spend at least the following week doing just that! 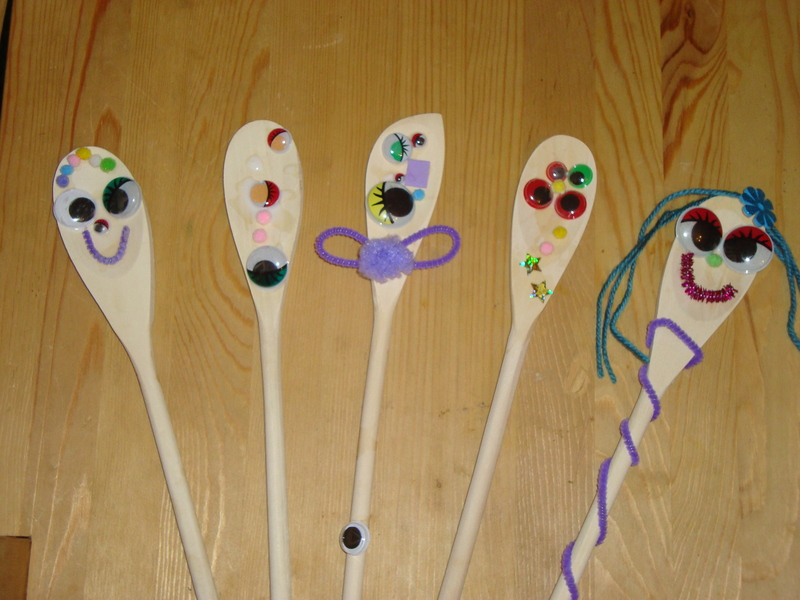 This week it has been decorating wooden spoons and paper plates to make spoon people and masks. 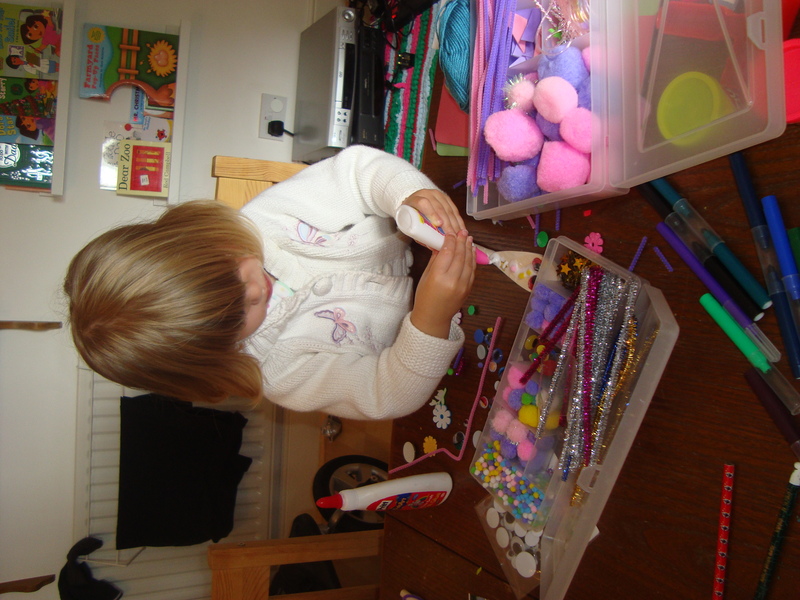 It’s a great activity to do with pre-schoolers as it is fairly cheap and they can do it all themselves. I raided the pound shop and got a packet of 6 wooden spoons and a squeezy tube of PVA glue. We already had loads of crafty bits and bobs at home, including googly eyes, although when I was in town I did see they had them in The Works – a bargain at 2 packets for £1. 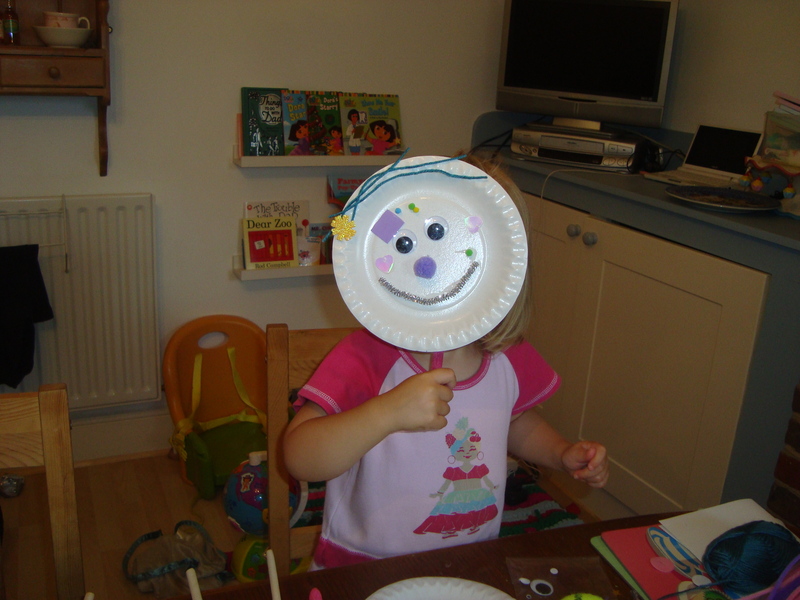 We also got a cheap pack of paper plates and found some lolly sticks to use as handles to create paper plate face masks. 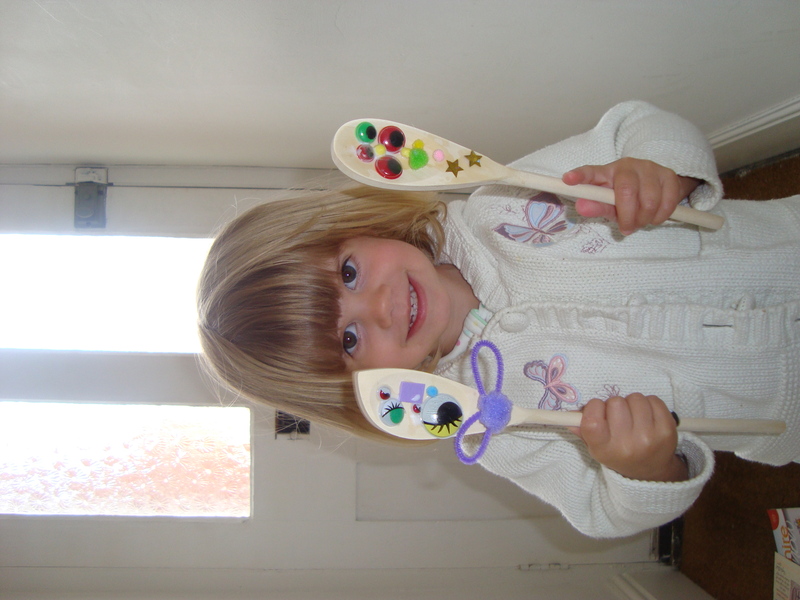 Despite covering the dining room in pom poms, googly eyes, pipe cleaners and stars, Faith absolutely loved doing this and was, quite rightly, very proud of her creations – even if some of them are a little abstract looking! Thanks for this gorgeous post, we will definitely be making a spooning family soon! I remember doing these with my boys when they were little – I still have them tucked away in a box and everytime I come across them they make me smile! We haven’t made spoon people yet, but I am beginning to think that it is about time! Especially when you see the happy faces in your house!! How wonderful!!! And the plate is fantastic too! 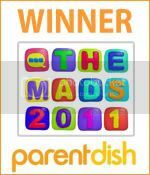 Thank you so much for linking to Kids Get Crafty, very much appreciated! Hope to see you again soon! 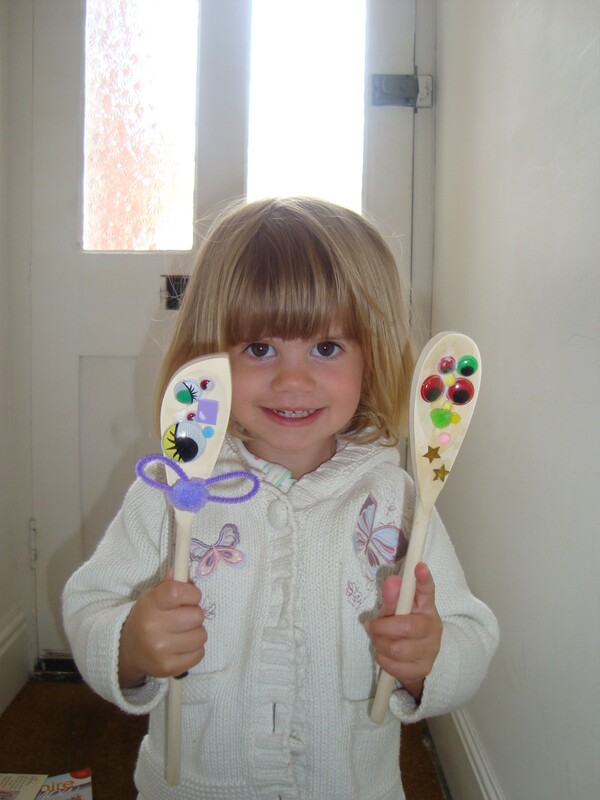 Those are some great spoons, and I am sure my Princess would enjoy making them too. She is exactly the same, once she is interested in something it becomes obsessional! Making toilet roll people still hasn’t completely left us, even after a couple of months! Hehe, glad my child isn’t the only obsessive one! Wonder what the next favourite activity will be…..